Edward A. LeLacheur Park is located on the banks of the Merrimack River and is home to the New York–Penn League Lowell Spinners baseball team. The facility, which has a 5,030-person capacity, is also home to UMass Lowell's Division I River Hawks. It was named after State Representative and the first Spinners' fan, Edward A. LeLacheur. The Hearing Room operates on this fundamental premise: that the creative spirit is the best of humanity, it exists in everyone and there is never enough of it around. They host events every night: music, poetry, theatre, film, etc. The space also functions as a working space for artists and a bookstore. The Onyx Room is a 180 seat, black box event, concert and theatre venue available for rent. Operated by The Miracle Providers NorthEast, a non-profit organization that raises funds for local children impacted by HIV/AIDS. Located downtown in the Canalway Cultural District, the Gates Block Building was erected in 1881. 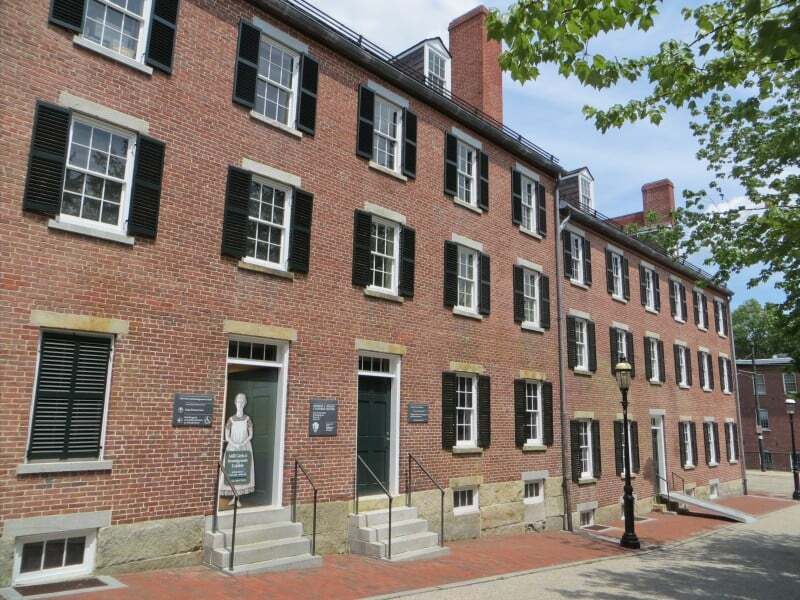 Originally housing a leather goods manufacturer, the historic building has recently been restored to new glory. This vibrant new art community has a little bit of everything – 34 unique studios on 3 floors with a wide variety of fresh and interesting art. OPEN STUDIOS every 1st Friday Night from 6-9 pm and every 1st Saturday from 11-5 pm! Western Avenue Studios houses 300+ artists in over 240 working artist studios, plus 50 live-work lofts that opened in 2012. As part of the ever-growing arts community in the city of Lowell, Western Avenue hosts monthly First Saturday Open Studios events. Visit on a First Saturday to see where the artists work, talk to them about their art and purchase something unique for yourself or a loved one. The mission of the University Gallery is to present contemporary artists and artworks of diverse attitudes and approaches. There are six exhibitions scheduled throughout the school year. Admission is free and receptions usually include a lecture by the featured artist(s). In a city whose motto is "Art is the handmaid of human good", the Arts League of Lowell has become the catalyst for the creation of a community of all artists. With the help of its members, sponsors and patrons, ALL fosters and celebrates creativity and artistic expression in Lowell and the surrounding areas. The Arts Research Collaborative is a group of contemporary artists working in downtown Lowell, interfacing the Lowell arts community and the University of Massachusetts Lowell arts community with a practice focused on arts dialogue beyond the region, state and nation. UnchARTed is a multimedia art space that offers the public a fresh and innovative approach to art. An exhibition and performance space for local artists, guest curators, ambitious musicians and creative minds alike, the multifaceted business model includes a unique café style kitchen serving up the best pizza around as well as tasty sandwiches, salads and occasional soups. The bar always has 6 rotating craft drafts as well as an extensive, locally brewed tall boy section. And of course, wine! Opened in December 2007, this spacious gallery is located in the Western Avenue Studios historic mill complex and is divided into two sections. The front “showcase” gallery features a new show every month which may highlight the work of 1-2 members or include a broader spectrum of work in a juried or themed show. Artwork in the curated “main” gallery changes quarterly and features original fine art, handcrafted gift items, jewelry, greeting cards, handmade soap and lotions, pottery, prints, art-to-wear and much more. Gallery Z is an artist cooperative and retail gallery that offers artists the opportunity to exhibit and sell their work. They also have a large space for revolving exhibits. The Brush presents museum quality exhibitions and educational programs and has collaborated with many other nonprofit groups. Artists occupy studio spaces to interact with and educate the public on a weekly basis. Currently, eleven studio artists produce paintings, illustrations, photography, jewelry, sculpture, ceramics, quilts and handwoven items. Associate artists display work in the common area. The Ayer Lofts Art Gallery is a co-operative art gallery that consists of approximately 400 square feet of space. The mission of this gallery is to encourage and support creativity among its members, work collaboratively with other artists and organizations in the community, promote the arts in Lowell and provide outreach to youth. 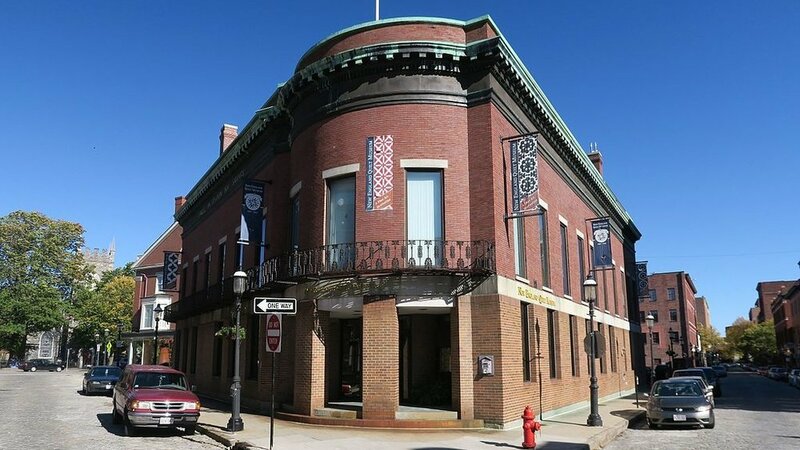 Merrimack Repertory Theatre has been the Merrimack Valley’s professional theatre company since 1979, and is an integral part of Lowell’s identity as the cultural heart of the region. MRT produces vibrant, contemporary plays that explore what it means to be alive today, with a seven-show season that runs from September through May. Its intimate 279-seat theatre is easy to get to and parking is free. MRT is a cultural resource for its community and strives to remove barriers to access and build community partnerships.